The story of Tjango! began in 2010, when three classical music professionals started to play the swing of Django Reinhardt and the tango of Astor Piazzolla. Their debut album “Tjango!” (2014) consisted solely of originals written by the band members. In addition to the band’s musical roots in the gypsy and Latin American tradition, the album contains influences from bluegrass music along with echoes of Finnish and Irish popular tunes. Tjango! 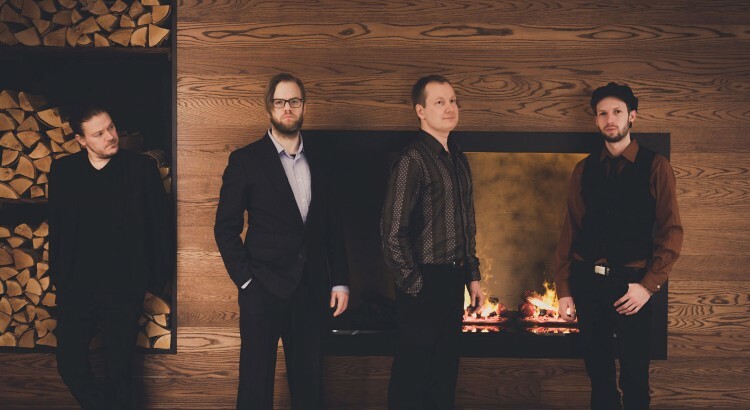 regrouped in early 2016, when fiddler Tero Hyväluoma and double-bassist Tarmo Anttila joined founding members accordionist Antti Leinonen and guitarist Otto Tolonen. The band’s second album “Greens and Blues” was released in May 2017. The music of the new album is best described Nordic world music, bluegrass and bossa nova with roots in gypsy jazz and tango.